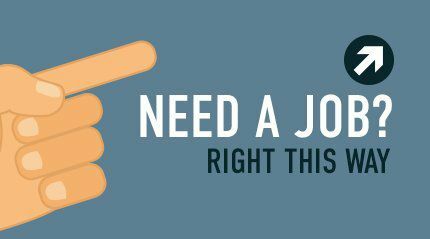 Urgently needed At A Company In Lagos. Minimum 2yrs experience in retail lending needed in a Microfinance Bank in Lagos. N100k salary plus performance based pay. vacancy in a leading fragrance coy in Lagos. Must be computer literate and live within the Lekki-Ajah axis. Send CV to recruits@hreade.com Assessments and interviews hold this week. Female Personal Assistant at Simple Interiors. Must reside in Surulere. Must be able to use Microsoft word and excel should be goal oriented, able to take the initiative, hardworking, smart and loyal. Qualification: OND or HND. Are you a corp member? Can u blog? Do you stay in Abuja? Then we are looking for you. The candidates MUST have the following criteria; • Relevant sales experience in ice sales (edible and Non-edible) • Have working relationship with modern trade outlets and supermarkets • Have minimum 3years sales experience in the food Cold chain category • Possess a valid driver’s license and MUST know how to drive • Demonstrate that he or she can use Microsoft office at proficiency level • Must have managed a team of 2 or 3 before. An oil and gas company based in Lagos requires a temporary HR staff for 3-6 months. The ideal candidate will have a minimum of two years Human Resources experience with a flair for HR reporting, Recruitment and Training. The candidate must be a certified member of CIPM Nigeria. The successful candidate should be ready to start immediately. Interested candidates should please forward their CV and a covering letter to i.enukoha@forteoilplc.com latest by 5pm, Friday 13th of April 2018.
social media intern based in Lagos. Should you know anyone resourceful. Preferably with graphics experience. We are recruiting for a suitable qualified candidate to fill in the position below: Customer Service Agent. Location: Lagos Ikeja. Requirement: OND minimum. Working Experience: 2years Minimum. Salary: #60,000. 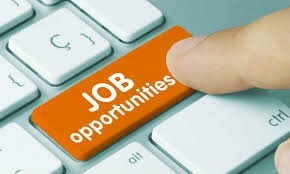 A leading telecommunications company with operations across Africa is urgently recruiting for the post of the Head of IT. Qualified candidates should send their cvs to recruitment@capax360.com with subject as Head of IT Note: Deadline for CV submission is Friday 27th April 2018. Hot FM Lagos is looking for a female to fill the role of Business Development and Sales Executive. The ideal candidate must have a good understanding of the media market in Lagos and must be able to create new business opportunities for the station. Interested candidates should send their CV to hotfmlagos@gmail.com with BUSINESS DEVELOPMENT AND SALES EXECUTIVE as subject. Only suitably qualified candidates will be contacted. 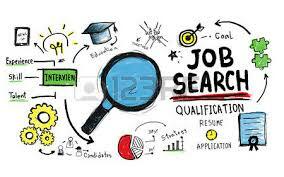 A fast growing IT firm in Lekki, Lagos is currently in search of an Admin/Account Officer”’ Some of the services of the firm include building of websites, mobile application, managing social media accounts, graphics design, SEO and bulk SMS services. 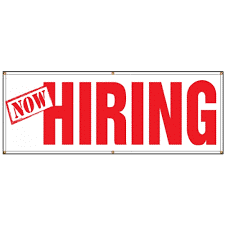 Requirement: Must be B.Sc./HND Holder in Accounting or a related course. - He/She must have done his/her NYSC. - Must be resident in Ajah or Lekki - Must have about 1 – 2 years’ experience in an administrative/accounting role. - Must have handled general accounting functions in a reputable organisation. - Proficient in Advanced Ms Excel and any other accounting software (Very Key). - Good Interpersonal skills. - Sound Communication Skills (Oral and Written). - Ability to work without supervision and under pressure. - Good Problem solving skills. - Very creative in handling tasks and can think out of the box for solutions. - Quite conversant with CRM tools. Qualified persons should send an updated copy of their CV to edwardodili@gmail.com. The subject of the mail should be “Admin/Account Officer”. Grade: DM- M An ideal candidate must be able to answer the following question in the affirmative; 1. Are you a Commercial banking RM? 2. Do you develop and manage accounts with an annual turnover of 1billion minimum? 3. Do you have 60% of your client from Public Sector? 4. Do you have strong relationships in the public sector that you can leverage on? 5. Do you manage a team? 6. Do you have proven records of building a strong performing team? If your answer is "yes" to all of the questions above, then this is the opportunity for you to move to the next level in your career. Send CV to finance@oscartemple.com for further discussions. An international school is looking to recruit Teachers/Assistant Teachers who have the energy, stamina and patience to manage toddlers and little children between the ages of 2 to 5 years. Since you will be dealing with children from a variety of nationalities, you must have excellent communication and English-speaking skills. While a formal teaching qualification would be an advantage, the emphasis is more on experience and passion for the job. Knowledge and experience of the Jolly Phonics method is necessary for the Kindergarten Assistant Teachers. Got what it takes? § Experience working in the Travel Industry or Hospitality sector would be an added advantage. Interested and qualified candidates should send their CV’s to: careers@finchglowtravels.com using the job title as the subject of the mail. Application Deadline 24th April 2018.